Aluratek's Digital Photo Frame is a wonderful way to bring your treasured photos and memories to life with incredible image clarity in rich and vibrant colors all on the TFT true color LCD at 1024 x 768 resolution at an ideal 4:3 aspect ratio. The functional and stylish frame makes a great addition to any room of your house or office environment. With 8GB of built-in storage, memory card reader and USB support, it is easy to transfer and store all your favorite photos, videos and music. What separates Aluratek digital photo frames from other brands is picture quality, ease of use, and affordability. You will not find a better quality image or video than what an Aluratek digital frame can deliver thanks to the best quality "true digital" LCD panels that are available on the market for production. 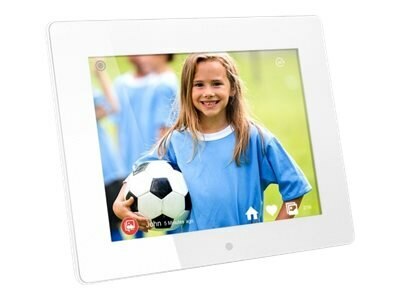 Combined with an easy-to-use interface, wide format support, and the simplicity of automatic playback, Aluratek digital photo frames are the best choice for storage and sharing of your precious memories with family, friends, and coworkers.